"An admirable contribution to the growing literature on Maya settlement research initiated by Gordon Willey in the Belize Valley in the 1950s. "-Shirley B. Mock, University of Texas, San Antonio Over half a century ago, the late Gordon Willey began his research in the Belize Valley, and ten years later he published a synthesis of his data that is recognized today as a classic study of ancient Maya settlement patterns. This new volume looks at the abundant research that has taken place in the region since the 1950s (and includes a new retrospective chapter from Willey that was submitted shortly before his death in April, 2002). The Ancient Maya of the Belize Valley represents an attempt to present in one volume the extensive data from the diverse sites in this part of Mesoamerica, one of the richest archaeological areas in the Maya world. The collection provides a key to understanding the valley's ancient political and social organization by highlighting the interconnectedness of the region's settlements. Contents 1. 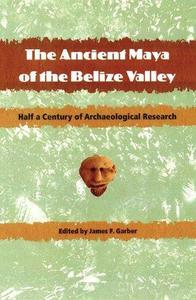 The Archaeology of the Belize Valley in Historical Perspective, by Arlen F. Chase and James F. Garber 2. 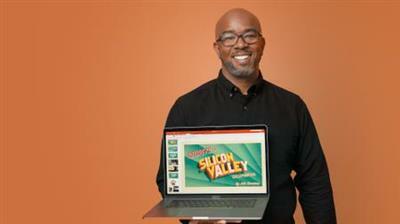 Retrospective, by Gordon R. Willey Part 1. The Central Belize Valley 3. Middle Formative Prehistory of the Central Belize Valley: An Examination of Architecture, Material Culture, and Sociopolitical Change at Blackman Eddy, by James F. Garber, Jaime J. Awe, M. Kathryn Brown, and Christopher J. Hartman 4. Archaeological Investigations at Blackman Eddy, by James F. Garber, M. Kathryn Brown, W. David Driver, David M. Glassman, Christopher J. Hartman, F. Kent Reilly III, and Lauren A. Sullivan 5. Major Center Identifiers at a Plazuela Group Near the Ancient Maya Site of Baking Pot, by James M. Conlon and Terry G. Powis 6. Ancient Maya Settlement in the Valley of Peace Area, by Lisa J. Lucero, Scott L. Fedick, Andrew Kinkella, and Sean M. Graebner Part 2. The Upper Belize Valley 7. Cahal Pech, Belize: The Middle Formative Period, by Paul F. Healy, David Cheetham, Terry G. Powis, and Jaime J. Awe 8. The Role of "Terminus Groups" in Lowland Maya Site Planning: An Example from Cahal Pech, by David Cheetham 9. Buenavista del Cayo: A Short Outline of Occupational and Cultural History at an Upper Belize Valley Regal-Ritual Center, by Joseph W. Ball and Jennifer T. Taschek 10. Xunantunich in a Belize Valley Context, by Richard M. Leventhal and Wendy Ashmore 11. The Royal Charter at Xunantunich, by Virginia M. Fields 12. Buenavista del Cayo, Cahal Pech, and Xunantunich: Three Centers, Three Histories, One Central Place, by Jennifer T. Taschek and Joseph W. Ball Part 3. The Belize Valley: Neighboring Connections 13. The Ancient Maya Center of Pacbitun, by Paul F. Healy, Bobbi Hohmann, and Terry G. Powis 14. Defining Royal Maya Burials: A Case from Pacbitun, by Paul F. Healy, Jaime J. Awe, and Hermann Helmuth 15. Integration among Communities, Centers, and Regions: The Case from El Pilar, by Anabel Ford 16. The Classic Maya Trading Port of Moho Cay, by Heather McKillop Part 4. The Belize Valley: Intergration 17. Problems in the Definition and Interpretation of "Minor Centers" in Maya Archaeology with Reference to the Upper Belize River Valley, by Gyles Iannone 18. The Emergence of Minor Centers in the Zones between Seats of Power, by W. David Driver and James F. Garber 19. The Terminal Classic to Postclassic Transition in the Belize River Valley, by James Aimers 20. Polities, Politics, and Social Dynamics: "Contextualizing" the Archaeology of the Belize Valley and Caracol, by Arlen F. Chase 21. Diverse Voices: Toward an Understanding of Belize Valley Archaeology, by Diane Z. Chase James F. Garber is professor of anthropology and field school director at Southwest Texas State University. He is the author of Archaeology at Cerros Belize, Central America, volume 2, The Artifacts. Feel free to post your The Ancient Maya of the Belize Valley Half a Century of Archaeological Research torrent, subtitles, free download, quality, NFO, rapidshare, netload, uploaded, rapidgator, extabit, letitbit, crack, serial, keygen, or whatever-related comments here. use only English, Owners of this website aren't responsible for content of comments.